Assembly London is a major mixed-use urban campus in London W6. The development comprises four buildings totalling 220,000 sq ft (20,439 sqm). 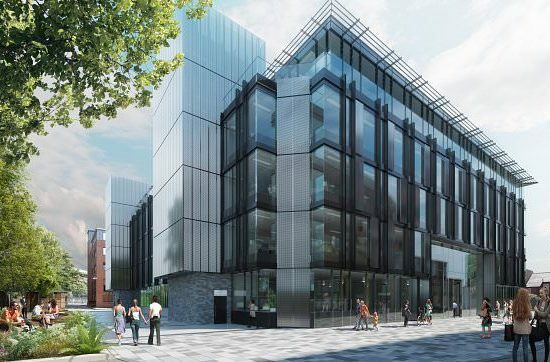 Phase 1 of the project comprises the development of two new TP Bennett designed buildings, The Foundry and 1 Smith’s Square, which between them will deliver 150,000 sqft (13,935 sqm) of new office space and 20,000 sqft (1,858 sqm) of retail and restaurant space. As part of AXA Real Estate’s wider initiative to focus on wellbeing and reduce environmental impact, the estate, and notably The Foundry building will offer extensive amenities for cycling, together with a squash court and gym and secure underground car parking. The West London site will be completely transformed, setting a new standard for the area and offering space to satisfy modern workforces from a variety of sectors.